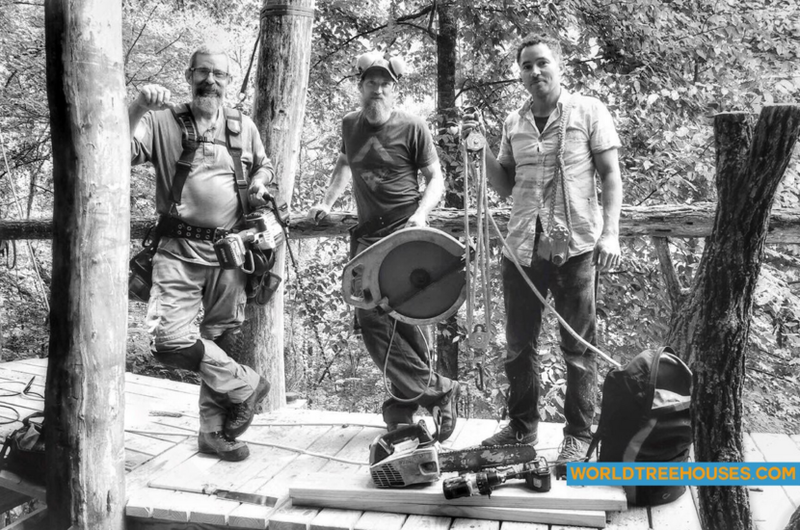 Our team and the tools they love: a photographer came by to view our current project in the Panthertown wilderness, and he captured a great shot of our building team and their favorite tools. From left to right, Whitney loves his cordless right angle drill (also known as a “hole hog,”. Michael poses with his giant circular saw, and Adam, as always, is showing off his ropes and pulleys.